Pizza fans, take heed: there's a new spot in town to get your fix. 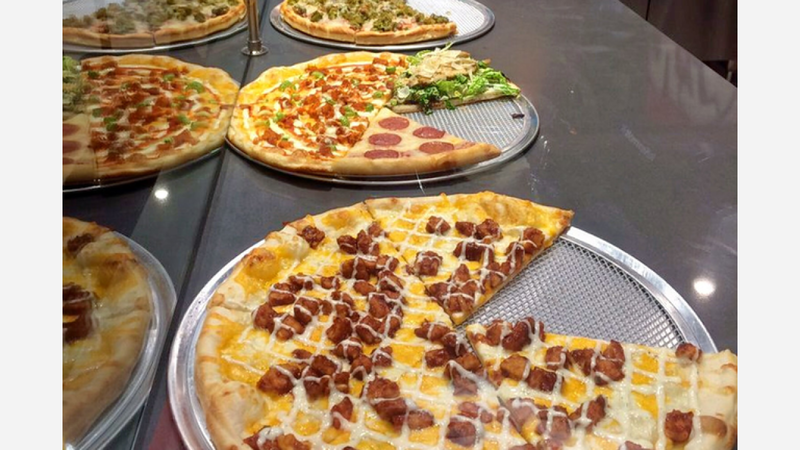 The fresh addition to Westchase, called Empire Pizza, is located at 11805 Westheimer Rd. This newcomer originally hails from New Jersey and features New York-style pizza-by-the-slice, signature pies, sandwiches, salads, desserts and more. The menu is extensive, so expect to see a variety of pizza offerings like chicken bacon ranch, eggplant salad pie, and "Grandma's Pizza" with fresh mozzarella, chunky tomato, garlic, basil and extra virgin olive oil. Signature sandwiches include offerings such as the "Fat Texas" with cheesesteak, mozzarella sticks, fries and marinara sauce; the "Fat Andre" with cheesesteak, chicken fingers, mozzarella sticks, fries and ranch dressing; and a chicken parmesan sub with roasted mushrooms and peppers. With a five-star rating out of 10 reviews on Yelp so far, Empire Pizza is on its way to developing a local fan base. Tristan E., who was among the first Yelpers to review the new spot on January 13th, said: "Awesome new place that just opened. Straight outta Jersey, their pizza, salads and sandwiches are the best around. Oh yeah, and they have awesome fat sandwiches! Woo! Customer service is top notch." Yelper Lorenzo L. added: "I moved to Houston from Jersey City, NJ--which is right across the Hudson River from Manhattan--five years ago, and this brand new joint is as good as it gets." And Phillip B. said: "Straight out of New Jersey, the staff told me. They also had a pizza shop on 18th & Broadway back in NYC. They've arrived in Houston offering pizza pies and pizza by the slice." Swing on by to take a peek for yourself: Empire Pizza is open Friday and Saturday from 11am-11pm, and Sunday-Thursday from 11am-10pm.